If you’re tired of the cold gray of winter, the cheapest, easiest way to escape is into a book that evokes everything we love about summer. I used this list as a Studio 5 segment. To view the segment CLICK HERE. How about a trip to the coast of Germany on a luxurious cruise, with Gretel and her brother Hansel? Yes, that Hansel and Gretel. Gretel is all grown up now and working as a private investigator in 18th century Bavaria. In this adventure, Gretel is off to investigate some mysterious disappearances and rumors of mystical sea creatures. Gretel is tart and sarcastic and these books are so much fun to read. Content note: A few sexual references and occasional foul language. I’d seen the movie, but never read the book. It’s beautifully written, thoughtful (which makes it a little slow), and richly told. It’s fun to get to know these iconic characters more, and really see how much Anne Rice has influenced every major vampire franchise since this book’s release. 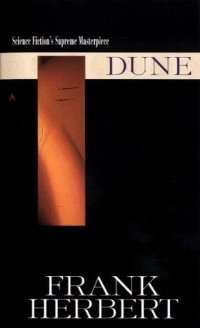 Dune is one of the great masterpieces of science fiction. If you really miss the hot days of summer, this is the book to read. It’s set on a desert planet: hot, dry winds, massive sand dunes, merciless sun, and very little water. From page one you’re pulled into this world of power and betrayal, mystic prophesies and harsh survival, love and hate. Content note: Occasional violence and a few homosexual references. What better place to escape the cold of winter than Savannah, Georgia? 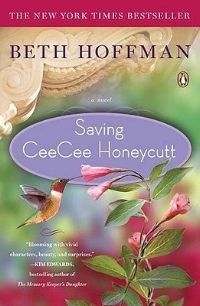 Saving CeeCee Honeycut is one of those fabulous Southern novels full of eccentricity, wacky women, and humor. Twelve-year-old CeeCee goes to live with her aunt after a tragedy takes her mother away. What follows is a hilarious, heartbreaking, and unforgettable journey. Content note: Mention of racism (it’s 1960’s Georgia). It’s impossible to talk about books that evoke summer without mentioning Dandelion Wine. Master storyteller, Ray Bradbury, perfectly captures the magic and growth of being a child in summer. Douglas Spalding is twelve in the summer of 1928: climbing trees, inhaling the scent of freshly mowed lawns, burning firecrackers, watching the bees and learning about the potential of life. For our last escape, how about a vacation on a quaint, picturesque Greek island? Throw in some romance, mystery, and suspense and you have the perfect get-away read. Young Nicola Ferris takes time off from her job as a secretary to explore the lush landscape of Crete. But she finds much more than she bargained for when she stumbles on a man who’s been shot and is hiding from those who pulled the trigger.